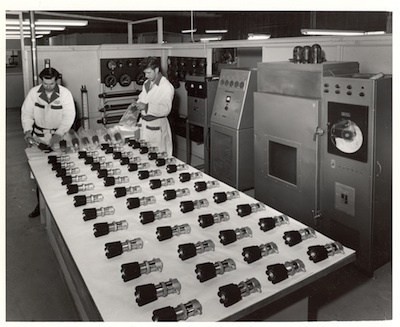 VACCO was founded in 1954 as Vacuum and Air Components Company of America to design, develop and manufacture high performance valves. In the early years, the company was there to meet the demands of the swiftly rising missiles industry, manufacturing a variety of valves for cryogenic, high pressure and other chemicals and propellants required for missile fueling and operation. In the 1960s, the company shortened its name to VACCO Industries. 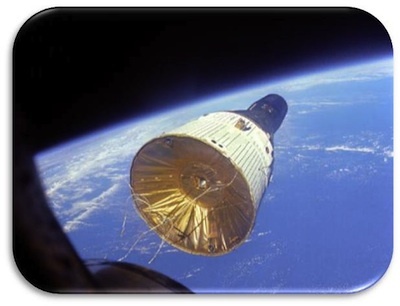 When rapid growth hit the space industry, VACCO was there to support it by developing innovative products, like the unique etched disc filter for precision, high performance filtration of propellants used on board satellites and space vehicles. 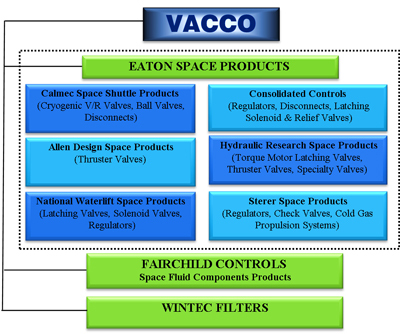 VACCO also continued developing and manufacturing new valve designs for the space industry in the ‘60s. In fact, VACCO manufactured well over 50,000 components ranging from small filters and valves aboard the Gemini and Apollo crew capsules’ RCS systems to giant valves used for fueling the Saturn 5 rockets. In 1983, VACCO was acquired by Emerson Electric and in 1990 six Emerson subsidiaries, including VACCO, formed ESCO. Today, VACCO is a subsidiary of ESCO Technologies Inc. (NYSE: ESE). Over the years, VACCO’s extensive research and development has diversified the company’s products to better serve our customers. In 2000, VACCO acquired the space and select aircraft operations of Eaton/Consolidated Controls (El Segundo, CA) to increase business volume and capacity of the aerospace product line. Expansion continued in 2001 with the acquisition of the Fairchild Stratos (Manhattan Beach, CA) product line from Orbital Sciences Corporation. To grow its filtration product line, VACCO acquired the assets of Wintec, LLC in 2007. With each acquisition, VACCO ensured that the majority of the employees and all the trade knowledge base came with it in order to continue support of the acquired products.